The display shows a clear similarity to the Nokia 6.1 Plus. If the same panel is used, the resolution would be at 2,280 x 1,080 pixels. The edge is probably made of metal. With what further equipment the Nokia 7.1 Plus will come on the market, has not yet been confirmed. It may be a mid-range smartphone that may be powered by a Snapdragon 710. In terms of memory and memory, the manufacturer is supposed to put on the combination of 6 GB and 128 GB. In this case, the performance of the Nokia 7.1 Plus would have increased significantly compared to its predecessor. 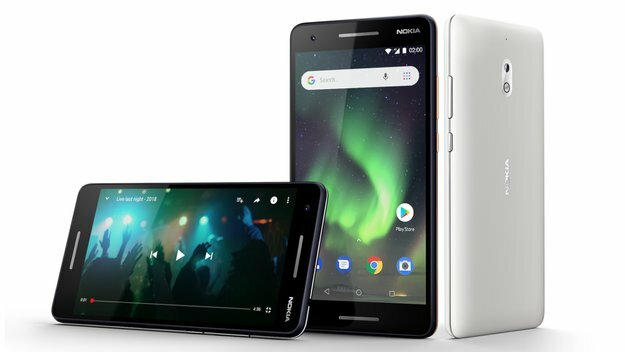 HMD Global seems to have found Android One . On the back of the render image, the lettering below is clearly visible. Android One is a “pure” Android, meaning it does not need any customization of the user interface or bloatware. Updates can be distributed much faster to users. Android One was launched as a project for developing and emerging countries, but is now also used occasionally on smartphones that are sold in this country, such as the HTC U11 Life. By contrast, the Nokia 7.1 Plus should primarily serve the Chinese and Indian markets. The predecessors were first published in China, then in India. Supposedly it will go there for the equivalent of 295 euros at the start. However, there is not yet a concrete performance date.